Virat Kohli and his men will like to walk the talk as India's tough cycle of away assignment ends with this four-Test series beginning at the Adelaide Oval on Thursday. ADELAIDE: An Indian team brimming with confidence will aim to finally shed the poor travellers' tag when it takes on a circumspect Australia in what is being perceived as the tourists' best opportunity to win a Test series Down Under in 70 years. While the narrative remained same during the earlier tours of South Africa (1-2) and England (0-4), Virat Kohli and his men will like to walk the talk as India's tough cycle of away assignment ends with this four-Test series beginning at the Adelaide Oval on Thursday. The series is even more important for Kohli as it would also define his legacy as a leader having already established himself as world's premier batsman. India's past Test record in Australia is quite abysmal. In 44 Tests on Australian soil, they have only managed five wins thus far. In 70 years and over 11 tours, only two drawn series, under Sunil Gavaskar in 1980-81 and with Sourav Ganguly in charge in 2003-04 is more a reflection of temperament of touring sides over the years rather than quality. While the idea will be to play aggressive cricket but Indian team management's choice of 12 with both Rohit Sharma and Hanuma Vihari in the mix is an indicator that they have climbed down from their aggressive five-bowler ploy in order to get 20 wickets. Injured all-rounder Hardik Pandya's absence does upset the balance of the side but getting an Australia side, which is still reeling under the after-effect of the ball tampering scandal with Steve Smith and David Warner serving their respective one-year suspensions. Rohit Sharma is a prime contender for the extra batsman's slot in Pandya's absence. He last played Test cricket in South Africa, and had a torrid time, managing only 78 runs in four innings while batting at number five. He is back in the mix, once again on the back of limited-overs' form, and his ability to play horizontal bat shots well. Tested against the English bowling attack at the Oval, rookie Vihari looked comfortable in scoring his maiden half-century there. 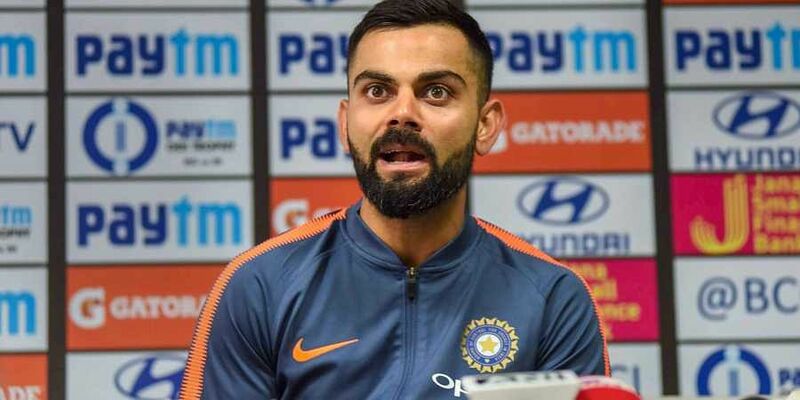 The Indian team management has gone to great lengths trying to explain that the two scorelines aren't necessarily true reflections of the contests, it remains to be seen if the lessons from those two prior tours have been learnt. India have faced two key issues, and the first has to do with the batting line-up not firing enough to support skipper Kohli. While Kohli scored 286 runs in three Tests in South Africa, the next highest cumulative total was 119 by Hardik Pandya and he scored 93 of those in one innings at Cape Town. Cheteshwar Pujara only managed 100 runs in three Tests, while Murali Vijay (102 runs in three Tests) and KL Rahul (30 runs in two Tests) came a cropper. Opening issues continued to plague India in England as well. After only 26 runs in two Tests, Vijay was sent home. While Rahul did scored 299 runs in five Tests there, 149 of those came in the final innings of the series at the Oval. His previous nine innings on tour yielded only 150 runs and 37 was his highest score, again in the first innings at the same ground. Shikhar Dhawan, who is not part of the current Test squad, scored 162 runs in four Tests. In total, India used four different opening partnerships in eight Tests, including the Johannesburg Test wherein Parthiv Patel opened with Vijay. Overall, the opening pair averaged 18.16 in three Tests in South Africa, and 23.70 in five Tests in England. Further, it didn't help that the middle-order didn't start scoring runs until the third Test at Nottingham. Pujara scored 278 runs in four Tests in England, albeit only managed 146 runs in seven innings. Rahane too scored 257 runs in five Tests there, but only had two noticeable scores of 81 (at Nottingham) and 51 (at Southampton) therein. That Kohli needs more support from other batsmen is a fact that has been noticed by Australia. Prithvi Shaw's ankle injury has opened doors for the Rahul-Vijay combination. In the past, captain Kohli has gone to great lengths to make room for Rahul dropping Rahane in South Africa (2018), dropping Pujara and himself moving up to number three against West Indies (at St.Lucia in 2016), and dropping Pujara against Australia (Sydney 2015). The bowling attack is predictable with Ishant Sharma, Mohammed Shami, Jasprit Bumrah and R Ashwin making up four-pronged line-up. It will go head-to-head with Australia's similar foursome of Mitchell Starc, Pat Cummins, Josh Hazelwood and Nathan Lyon. Australia (playing eleven): Tim Paine (capt & wk), Marcus Harris, Aaron Finch, Usman Khawaja, Travis Head, Shaun Marsh, Peter Handscomb, Nathan Lyon, Mitchell Starc, Pat Cummins, Josh Hazlewood, Match starts at: 5.30 am IST.